It’s Time D-Heads! 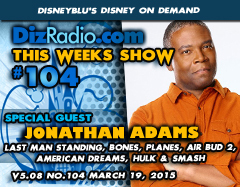 This week we go into the Wonderful World of Disney Television and Movies as we have JONATHAN ADAMS (Last Man Standing, Bones, Planes, Hulk and Agents of Smash, American Dreams, Air Bud Golden Receiver) to the show! Jonathan stops in and talks about his career, voice work, being part of Planes, and Hulk, and also playing Chuck on Last Man Standing with Tim Allen. We also welcome back the D-Team as you have questions and Erin has answers in I Want To Know. 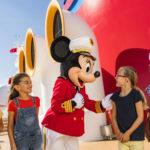 Caitlin is here with the latest from the Walt Disney World Resort in WDW-In-2, and Jason digs deep into The Vault with another Blu-Ray, DVD or VHS to add to your collection. And let’s go back with This Week In Disney History with Nathan. 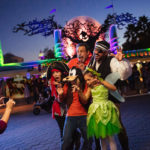 There is news hot off the D-Wire from the Parks, Diseyland, Merchandise, Jewelry, Star Wars, Books, Frozen, Cinderella, The Muppets and more!